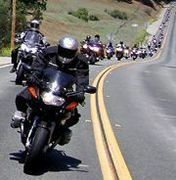 These are our comrades and riding buddies who own and operate restaurants, cafes, automotive repair shops, construction companies, glass, electrical, plumbing, HVAC, landscaping, pool service, computer and internet services, photography, health/medical services, real estate, home loans and insurance services. Use Yelp and other available customer review sources when selecting a vendor/provider. If you wish to list a business, please email me their details.